I’m not usually one to find myself online shopping whilst drunk, nor am I one to black out for an entire night. However, in the hubris of my final hand-ins for my second year of university, and the haze of cheap vodka and gin, I somehow found myself buying tickets to see Ought the very next day. I then promptly forgot about it and passed out on my bed. 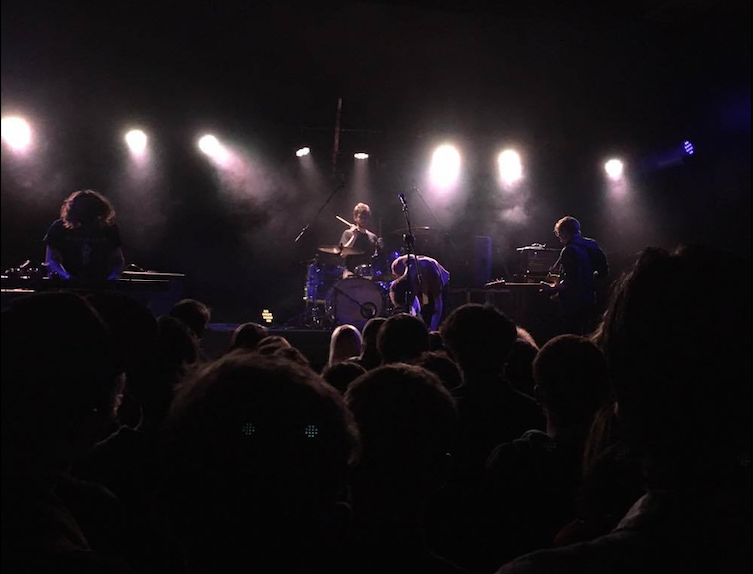 When I regained consciousness several hours later, to the notification that I was seeing Ought that night, I was confused and more than a little hungover (a hangover that didn’t subside until the support act – Trash Kit – came on stage). For the entire day, I was about 90% sure I wasn’t going to go, but that little nagging voice in the back of my head kept pushing me towards it. I had seen Ought the year before, but unfortunately, by the time they came out I had horrible stomach cramps and the night was ruined. Tonight would be different I thought, and I sucked it up and traveled all the way to Tuffnel Park, still hungover and not wanting to be there. I’d never heard of support act Trash Kit before, but as soon as the trio graced the stage and front-woman/guitarist Rachel Aggs broke out into jaunty, minimalist punk rock I was captivated. I couldn’t tell you the names of any of the songs, or other band members, but I enjoyed their set all the same. 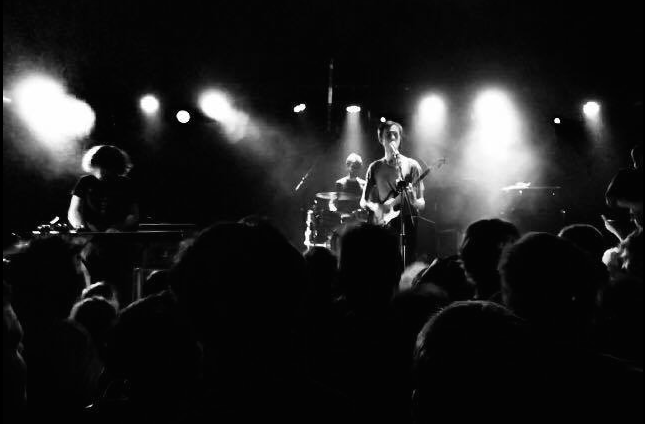 They managed to mix upbeat, indie-punk stylings with some quite heavy hitting and deep lyrics. Performance-wise, the band were tight, bass and guitar trading off each other with ease while the drummer kept a steady, militaristic rhythm. Definitely a band I’ll be keeping an eye on and hopefully seeing at their own show in the future. When Ought took to the stage I wasn’t quite sure what to expect, from what I remembered of the last time they’d been quite a staid performance, not terrible, but nothing special. This time, I was hoping it would be different, something I’d actually be able to remember. Fortunately for myself and the whole crowd they didn’t disappoint. I can’t remember the whole set list but, it doesn’t really matter, there wasn’t one song out of place or one that I wished they’d played instead, even the weird, left-field spoken word poetry of On the Line (my least favourite song on their new album Sun Coming Down) worked well. Seeing Ought this time was a far more special experience. Their sound remained near enough the same as the album material, but Tim Darcy’s voice became so commanding and defiant at times it was hard to look away as his slender figure commanded the room. There were many highlights, Men for Miles blew me away, as did Gemini and The Weather Song. When the band returned for an encore and closed the set with More Than Any Other Day the room could barely keep still, it was a beautiful, chaotic mess. However, the moment that cemented this gig in my mind as a great one was Habit. 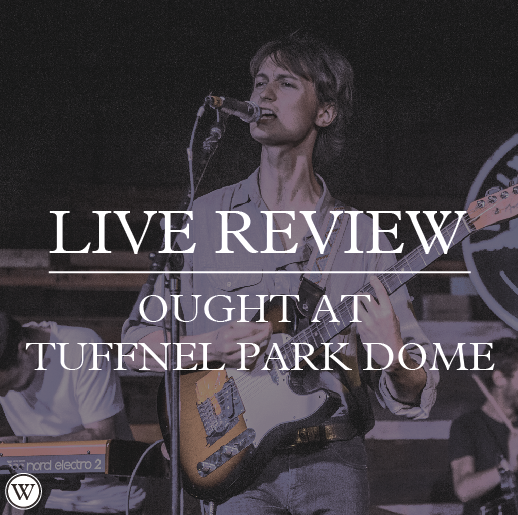 With its simple bass/guitar riffs and understated drums, it’s a more contemplative sound than the rest of Ought’s catalogue, but played live, it kills me. The emotion Darcy brought out in his voice during the chorus and refrain were devastating. It’s a song that’s deeply personal to me anyway, but this performance absolutely destroyed me. All I could do was stand and stare at the stage in silent admiration. I just wanted them to keep playing that song in the exact same way for the rest of the set, I don’t think I’d ever get sick of it. For a show I fully don’t remember buying tickets to, I think this show will hold a space in my list of best gigs for a long long time. If you ever see Ought are playing at a venue near you I’d fully recommend checking them out.